Sat on the terrace this evening the wind has started to pick up a bit, which is making it feel as if the weather may change tomorrow, so I’m pleased I made the most of the glorious weather today & went out for a cycle this afternoon, but more of that later. 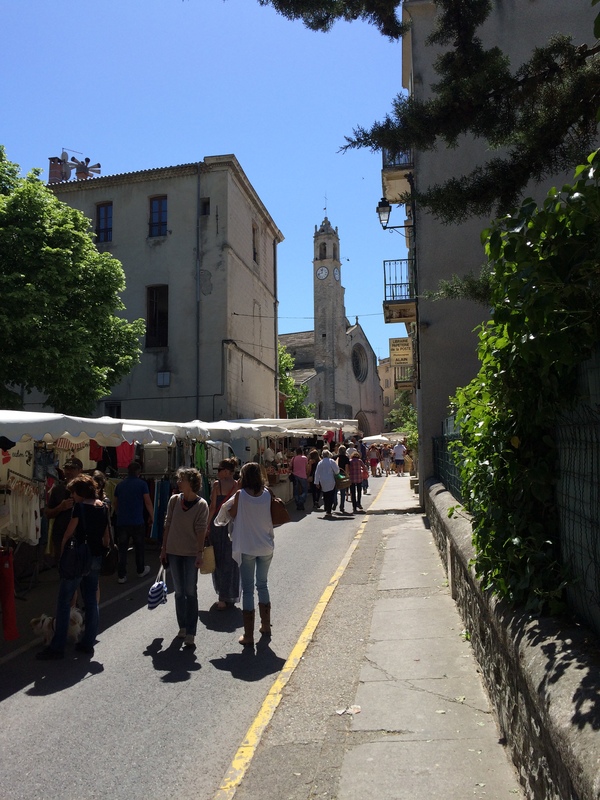 This morning I headed out past Apt into the Alpes-De-Haute-Provence to the pretty old town of Forcalquier for its Monday market. 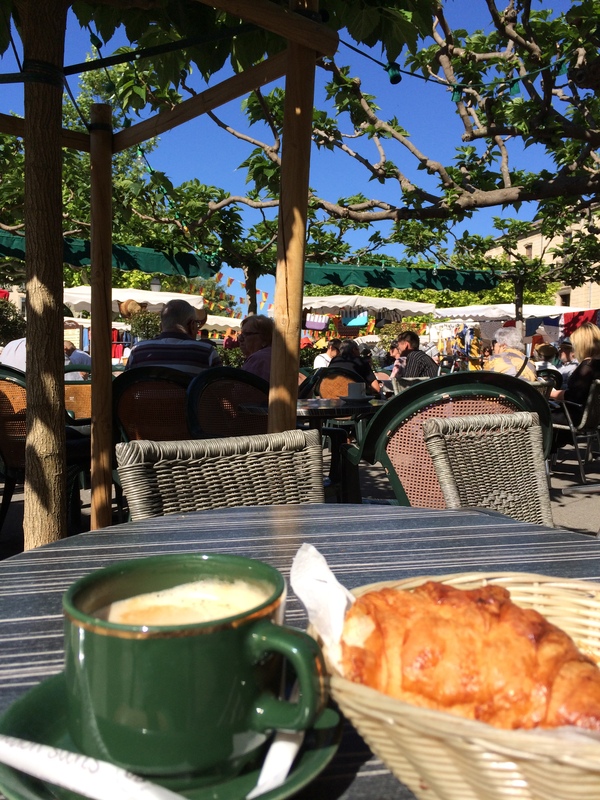 The market here has a real focus on local crafts with lots of different artisans displaying their pieces both in the main market and also in the ‘Cour Des Artisans’, just off the main square. The town is also home to some good artists and other craft galleries selling everything from ironwork to delicate glass jewellery. 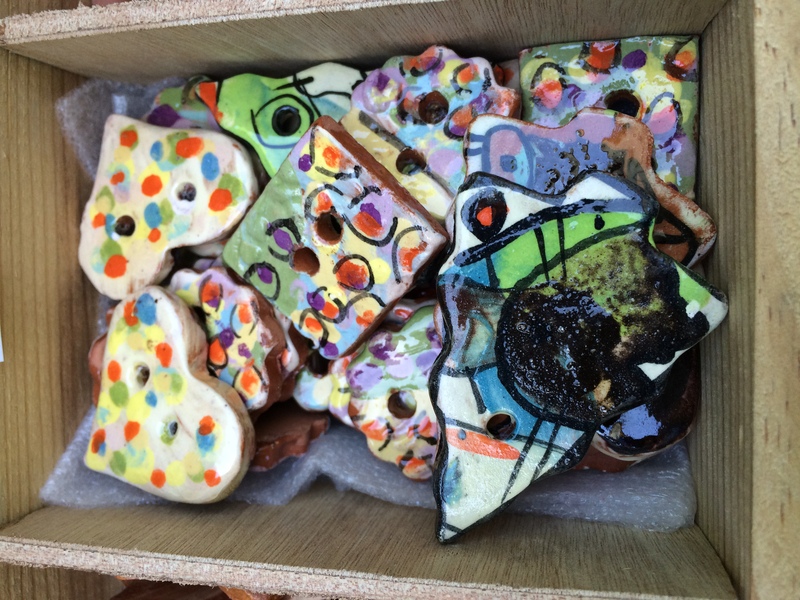 Today many things caught my eye, including some lovely silver jewellery and particularly pretty pottery, but I was particularly taken by some ceramic buttons on a stall taken by a ceramics artist called Elisabeth Vivet (Atelier Terre De Lune). 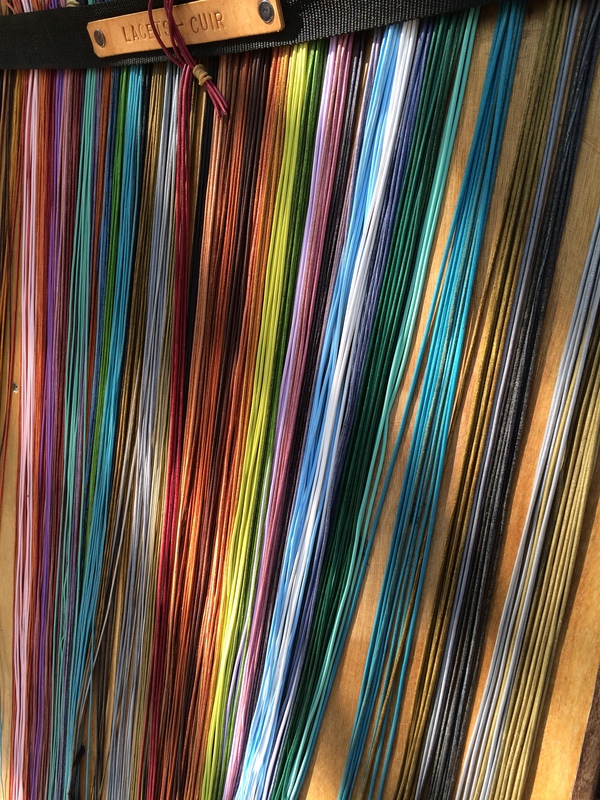 Nearby was another stall with beautifully coloured leather thongs and somehow the 2 seemed to go together, so buttons & a bright blue thong found their way into my bag to hopefully be turned into a necklace over the next few days. 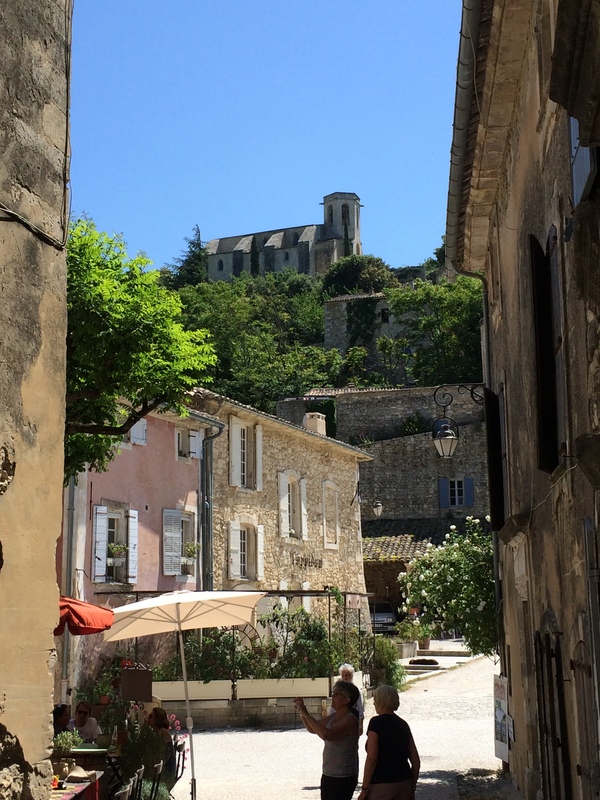 The market in Forcalquier straddles the town & leads you into the narrow streets that head up towards the Citadel. It’s certainly worth wandering through these narrow lanes as I found other artists & potters who have their workshops and showrooms tucked just off the beaten track. Quite unexpectedly I even saw a small shop offering English classes and there seemed to be ‘Marmite’ jars on some of the shelving inside. 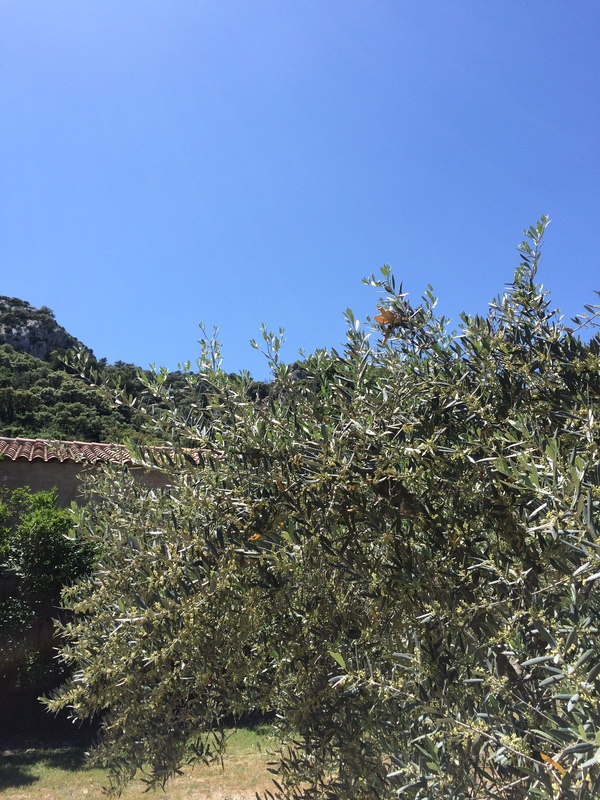 After a couple of hours of pottering around Forcalquier I headed back to the house and resisted the great temptation to stay by the pool for the afternoon and instead pottered off on the bike. 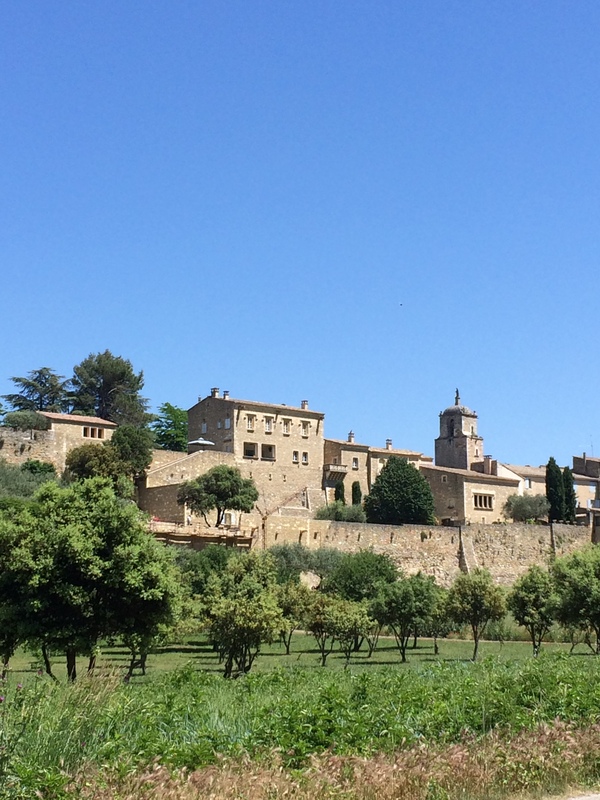 The house I am staying in is set on the main round-Luberon cycle route, so it is easy to head off, in either direction without having to take a map. 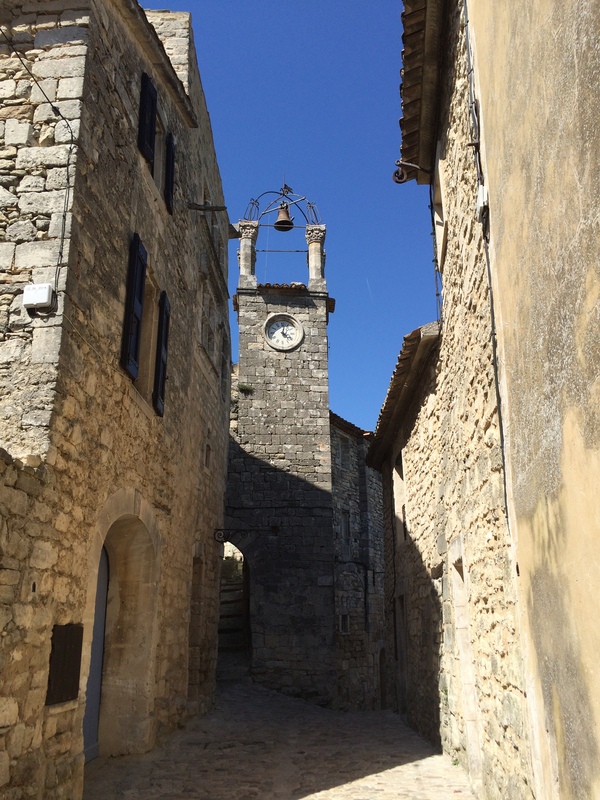 …..and headed off to visit some of the other hill-top villages that sit along the Luberon towards Apt. 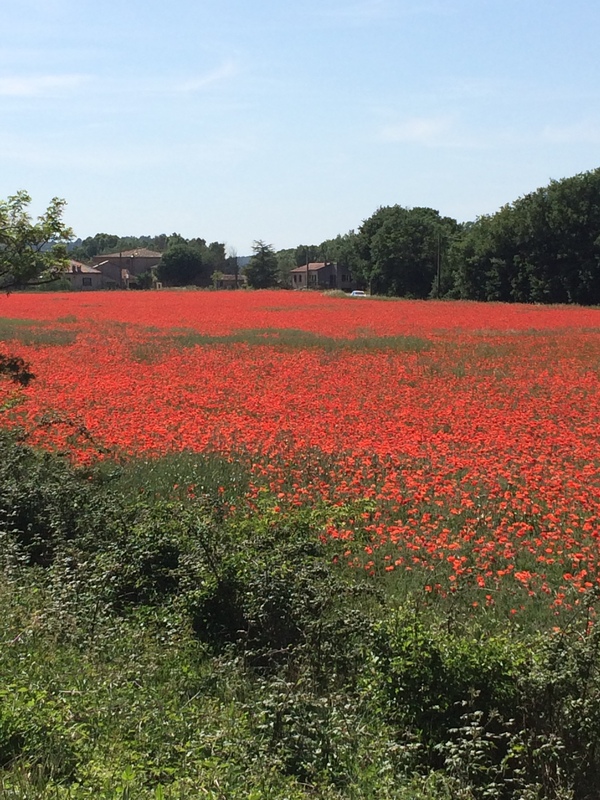 I first headed along the cycle route to Menerbes…. 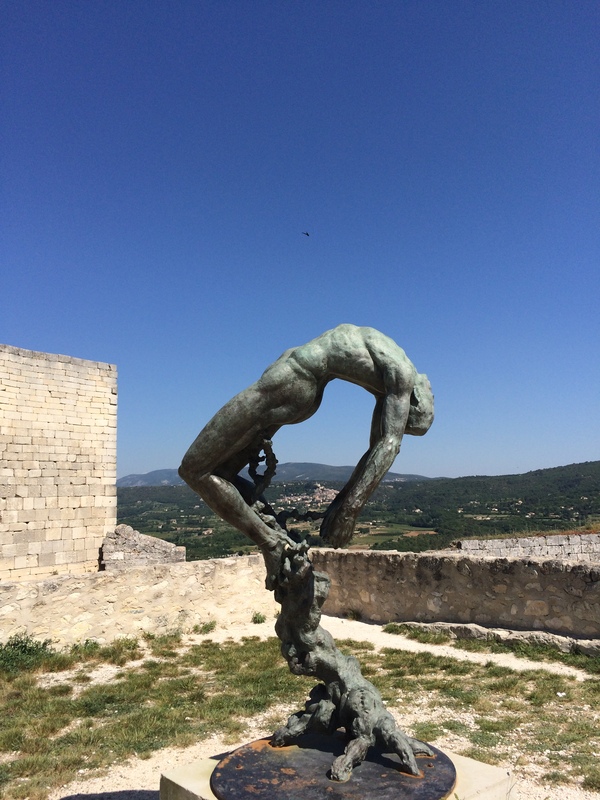 …before heading further on towards Lacoste, first stopping at the chateau, the historic home of the Marquis de Sade, and currently owned by Pierre Cardin, who has been renovating the ruined building for as long as I can remember. 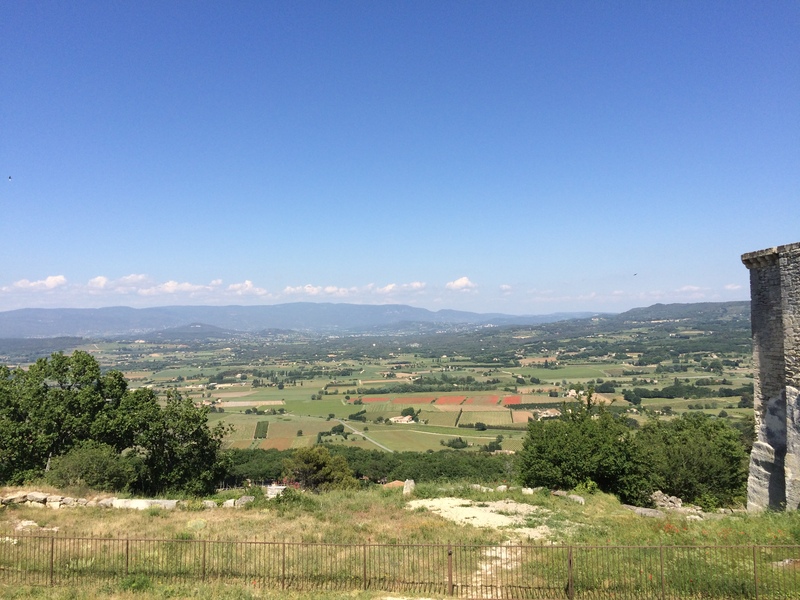 The views across the valley from here are truly stunning, with direct sight across to Mont Ventoux, Roussillon, Saignon and Bonnieux, it is very hard to pull yourself away from these on a day like today. 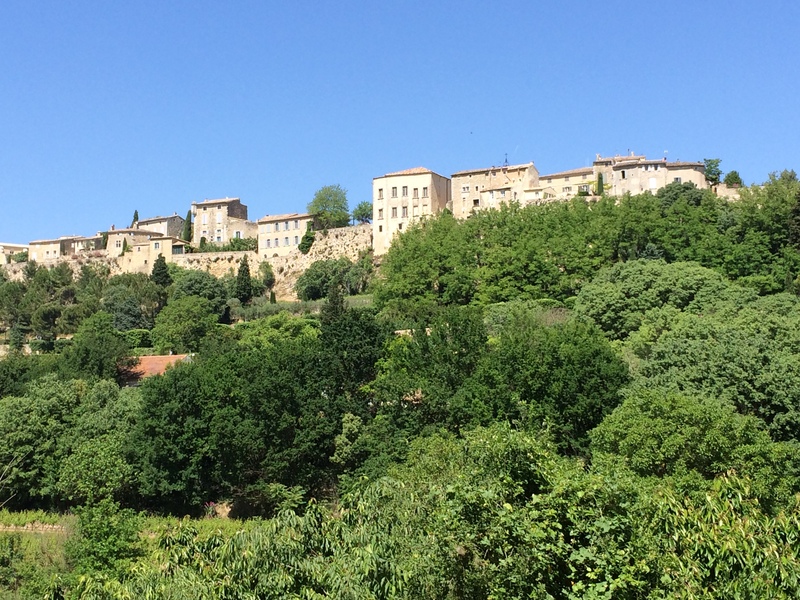 so I pottered through and took the snaking downhill road towards the Pont St Julien before heading back along the valley floor via the Veloroute du Calavon, which I mentioned in Sunday’s blog. I’m not sure what the weather will be like tomorrow – as I say it certainly feels as if there is a change in the air – but as ever there are so many things to do in this area, even for a ‘fair-weather cyclist’ – so I will just wait to see what tomorrow brings……. Didn’t realise they were buttons; for some reason I thought they were about 4inches across. How super cute. I hope you stocked up.